A mountain stream just like the one I go dipping my feet in and communing with the benevolent elementals in the area. Its been awhile since my last posting. Apologies to you guys :(! New job that demanded more of my time ;). So I have these bunch of blog drafts that have all been started but haven’t finished due to pressing matters. So let’s talk about “The Gaia Exercise”. I have this friend who’s undergoing chemotherapy sessions for breast cancer that I’ve been corresponding lately. I dished her a piece of advice in the form of a letter, what I call my personal “Gaia Exercise”, which I’d like to share with you all, because the exercise can apply for all kinds of sicknesses, well, at least most of it though ;). “Hi Lovely! Hope you’re having a great Sunday afternoon :). Great to hear you have been walking and eating on your own. I was kinda worried that you weren’t receiving my emails since February, since most of them have links to self-empowerment videos ;). Have you ever tried natural ayurveda treatments? It’s the use of natural plants and concoctions to heal yourself. There is an ayurveda center in ______ but that’s a bit of a stretch going there from your place. Our friend _______ can take you there though ;). For healing, I recommend staying near nature, like your home in ____________. I have these body aches sometimes, and I’ve learned that when I “ground” myself near nature, I get a lot of energy from the ground to keep my bodily aches away. It’s very simple to do. 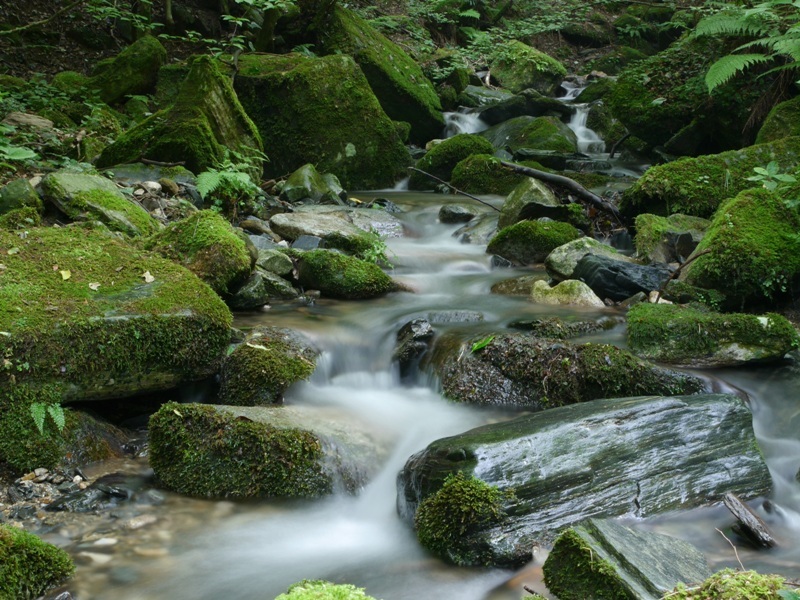 Simply go to a nearby stream or forest. Remove your shoes and walk around on grass, fallen leaves, or even dip your feet in running water like a nearby small stream (I’m assuming there are a lot of these near your home in __________ ; did you ever manage to buy that piece of land with a running brook through it near your place?). Dip your feet in the running stream for a few minutes while soaking up the sun’s rays through your skin. I do this in the late afternoon or early morning. Say a little prayer to Gaia or the nature spirits around that area, thanking them for giving you the beautiful natural surroundings and humbly asking for their help to help you get well. This part is really important :)! Eventually, you will feel better after doing this. I’ve done it several times and it always works :). For instance, one time, I rode one of those cramped public vans going into the city from my mountain home ;). I got into a “tiff” with a passenger because his young companion, an 8-year old child, puked on his shirt beside me. I have a thing against people puking in public places, especially when I’m around. It’s something I’ve had since I was a child, and if I see someone do it in front of me, there’s a chance I’ll follow as well. That’s the reason why I get pissed off when it does happen. So they put this guy who had the kid beside me in the vehicle, and since both of us had really bad tempers at that time, I acquired a limp on my right foot right after alighting from that van (just shows how negative energy can actually create ailments or even serious diseases). I couldn’t walk without a little pain on my right knee and foot after that for almost a week. I thought it would eventually go away but it didn’t. Then I thought about “grounding” myself in that little stream not far from my home. So I did go, sat beside the stream and dipped my feet in the running water, as well as walked barefoot on a large flat rock just beside it. You know, right after my dip, my feet felt really good and I was able to walk without the limp and the pain on the right knee gradually went away right after that ;). Since then, when I have an ache somewhere, I go back to that stream and “ground” myself with the energy of Mother Nature. The lesson of the story is, politely ask Gaia and your elemental/nature-based friends to help you with your health problems. Most likely, they will just be too glad to help ;). This entry was posted in Healing, manifest a positive reality, Nature healing and tagged healing crystals, interdimensional beings, manifest a positive reality, negative vibrations, positive thinking, spirituality. Bookmark the permalink.